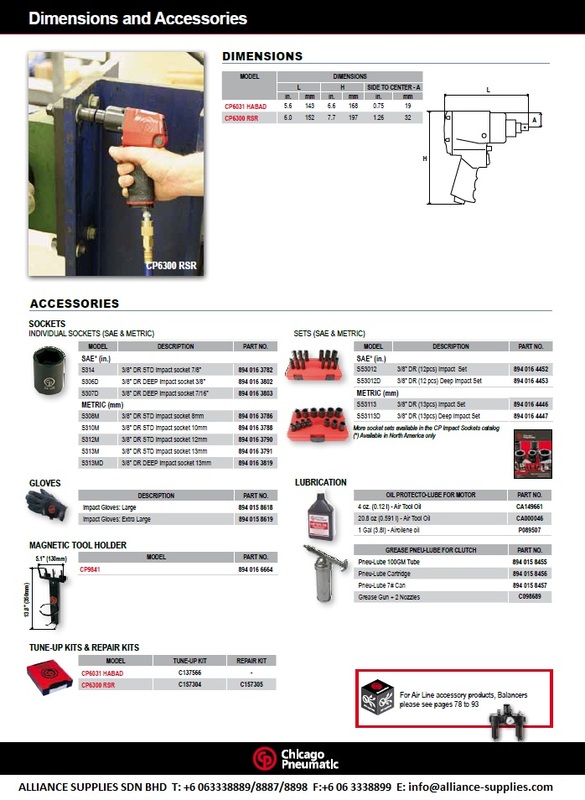 Worldwide leading manufacturer of impact wrenches, CP designs tools to maximize productivity and improve operator comfort. The ranges provides impact from 3/8” to 1 ½” square drive sizes. 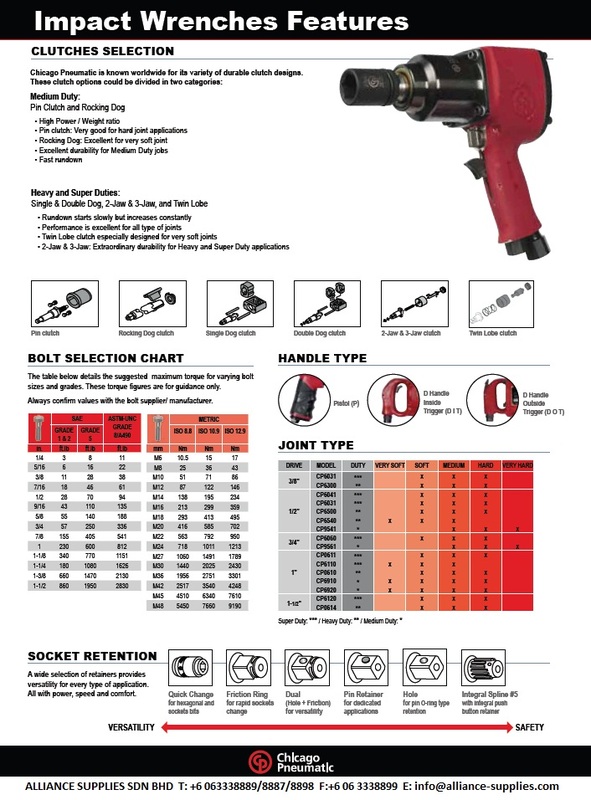 Chicago Pneumatic is launching a new design for the acclaimed CP7748, the top seller of the CP ½” impact wrench range. Delivering 922 ft.lbs – 1250 Nm of maximum real torque in reverse, the CP7748 is one of the quickest, most powerful impact wrenches in its class. "For this product test, Peter Xerri gets to try out Chicago Pneumatic’s latest impact wrench offering. But will it live up to the high standards of its predecessors?" The new Chicago Pneumatic CP7759Q is the most innovative ½” impact wrench in its class, using carbon fiber and creative design. It improves comfort, durability & productivity for the mechanic in his every day jobs. It’s the ultimate tool for tire shops, general maintenance on vehicles and light industrial maintenance. The new Chicago Pneumatic CP7748 is a durable & powerful ½” impact wrench in the entry level composite range. It’s an affordable tool yet very reliable for tire shops, general maintenance on vehicles and light industrial maintenance.